Conaway Motors reminds our customers that it is important to take care of your 30K mile service in Everett. It isn’t that there is something magical about that revolution of your odometer; it is just a number that makes it probable that certain parts or fluids in your vehicle will need attention. For example, if you have not recently had a tune-up or oil change, 30K on your odometer is a good reminder that it is time to get these things done. It is also a good time to change out the fuel filter, and the air filter on the carburetor. In addition, the transmission fluid should also be checked and changed. Some vehicles will need a transmission flush, while some other vehicles can actually be damaged by this ordinary maintenance step. Our mechanics have all the reference tools needed to be able to determine whether this is an appropriate step. At 30K, it is often a good time to change out spark plugs, wires and check the distributor as well as the timing. Oh, and let’s not forget the brakes – stopping power is always important, and this would also be a good time to take a look at your exhaust system. 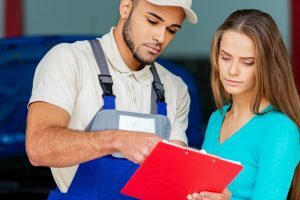 Sometimes, it isn’t the big repairs that will do in your vehicle, it is the many small maintenance tasks, especially if they are neglected. Timely maintenance can add up to big savings in the long run. Conaway Motors reminds our customers that it is important to take care of your 30K mile service in Everett, just give us a call at (425)905-2424. We will be happy to take care of all the appropriate maintenance needed by your vehicle at this milestone in its life.